Believe it or not many Chicago Dumpster Company reviews you read online are fake. In fact up to 20% of Yelp reviews are fictitious and overall reports of over 30% fake reviews for companies and products online according to Bloomberg Business Week and the Business Insider. The dumpster rental business is no different and that is why we are posting real verifiable client testimonials. We love hearing feedback from our clientele. 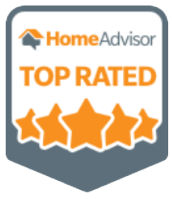 Plus you can also read our dumpster rental reviews on Home Advisor. Provided the best price. Dropped the dumpster at the specified time and date. Placed dumpster on wood to avoid damage to driveway. Picked the dumpster up at the specified time and date. Friendly and easy to do business with. I was very pleased with this company. They were very helpful with my questions concerning the right size dumpster to choose. Over-all I was extremely happy with their service and the price. I would definitely use them again when the need arises. I’ve known Pete and Bill for 20 years, and have had nothing but great service and friendship. There is no other company out there that can compete with their speed and reliability. Hope to keep doing business with them for the next 20 years!